Since my time in Sri Lanka was limited, I tried to maximize my time and the amount of things to see by booking some day tours via Viator. While the Dambulla Caves and Sigiriya Rock Fortress were fascinating experiences, an equally fascinating place that I had the opportunity to visit was the sacred city of Anuradhapura. 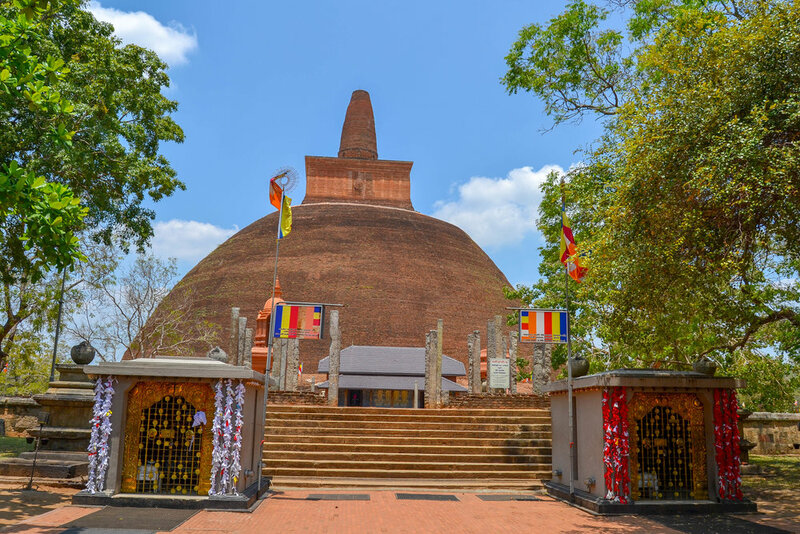 Anuradhapura is located in the north-central part of Sri Lanka about 127 miles (205 km) from Colombo, and it is another UNESCO World Heritage Site because of its large number of historic sites that date mainly from 4th century BCE to the 11th century CE. This day trip to Anuradhapura took place the day after I had returned from Sigiriya. Even though the day tour to Dambulla and Sigiriya was long at about 14 hours, this trip was also a long day. In fact, the tour actually started earlier than the trip to Dambulla and Sigiriya However, I was prepared for this and was looking forward to seeing the sites. On the day of the tour, I made sure to go to bed early and woke at 4am. The driver was on time and picked me up at 5:00am. After some introductions, we headed off to the north-central part of Sri Lanka. Like the trip to Dambulla and Sigiriya the day before, the driver drove extremely fast with no problem weaving in and out of traffic on two-lane roads in order to get me to the destination in a timely manner. After about 3.5 hours, we arrived at our first destination in Anuradhapura, Isurumuniya. 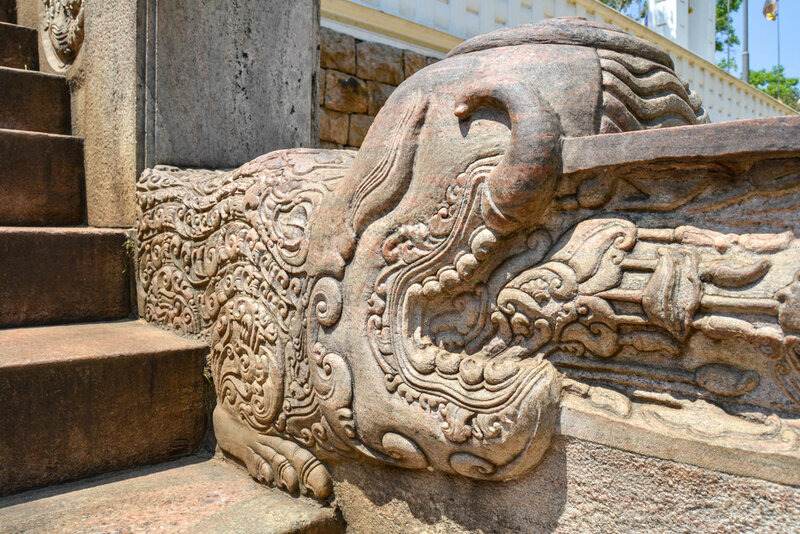 Isurumuniya is a Buddhist temple, which is famous for several carvings that visitors can see, such as the Elephant on the exterior of the temple and the carving of the Lovers in the small museum attached to the temple. Upon arrival at the temple, the driver booked a mandatory tour guide for me, and then the guide and myself walked around the temple grounds. I found the guide to be quite knowledgeable about the history of the temple, and he answered all of my questions with no problem. After walking around Isurumuniya for a bit, we all got in the car and headed a short distance to Jaya Sri Maha Bodhi, which is a temple that is home to one of the sacred relics related to the Buddha. The temple houses part of the original tree that the Buddha reached enlightenment under in India. The tree is also famous since it is the oldest known human-planted tree in the world which dates back to 288 BC. Unfortunately, I was not able to get up close to the tree because prayer time was in progress, but it was fascinating and a wonderful experience being able to see such an ancient part of history in the modern day. 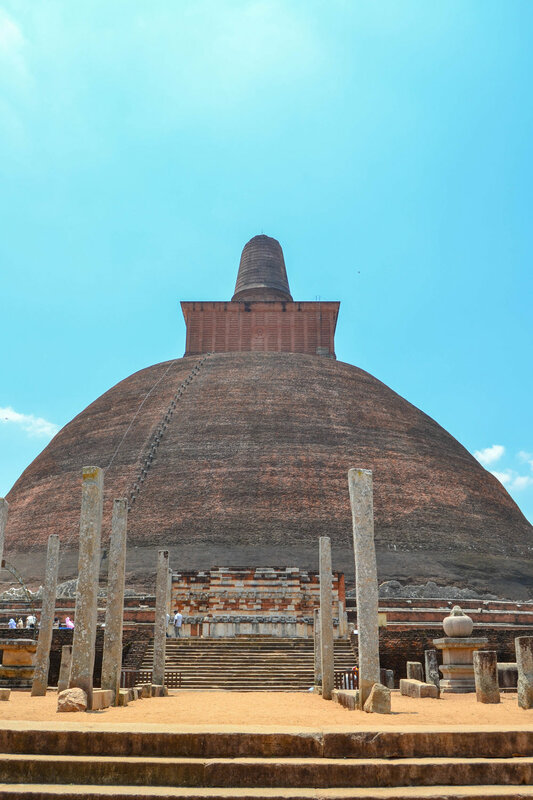 The next stop on the tour was to see the famed stupa, Ruwanwelisaya, which is a large white stupa that holds a relic of the Buddha. The stupa itself is completely sealed, so there is no way to get in, but from what I learned, the relic is enshrined inside in the center and then sealed completely. After the guide gave me some history, he gave me the opportunity to walk around it. As I walked around the stupa, it was amazing to think that during major Buddhist holidays and celebrations, the entire area would be filled with people. Once my guide and I finished walking around the twin pools, we got back in the car, dropped the guide off, and then my driver and I headed back to Colombo, so I settled in for a 3.5 hour journey. My driver and I arrived back in Colombo at around 7pm, but very heavy traffic along with a protest outside one of the government buildings caused even more delay, so I did not actually get to my hotel until about 8pm. Ultimately, this was a 15-hour tour, and while it was a very long and tiring day, it was absolutely worth it. Getting to see the sites of Anuradhapura was a once-in-a-lifetime experience that I’m extremely grateful for having. 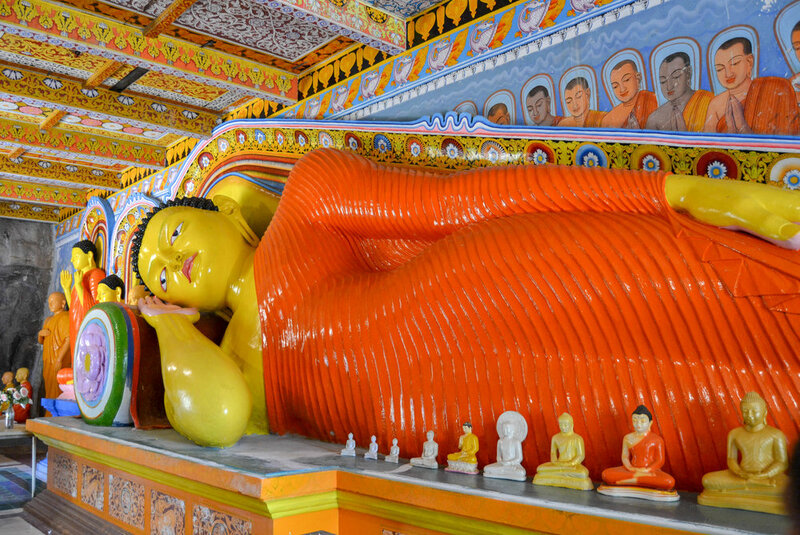 Have you been Anuradhapura? What did you think of it? Please enjoy the photo gallery! All photos were taken by me using a DSLR and iPhone.